(www.accurateweight.co.uk) Sales, Repairs, & Calibration To ISO9000 To All Industrial, Retail, & Medical Weighing Scales & Balances. To ensure your experience within our site is as quick and easy as possible, we have pre selected all scales into industry types (links on the left). Please click a type and select your requirements on the resulting page. 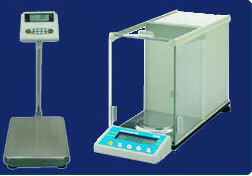 We are a national supplier of virtually every make of weighing scale available. We supply only the correct machine to suit your weighing requirements, thus ensuring our customer's interests and needs are met. Our website is unique and reflects the 200 years of combined experience & knowledge in the pre-selection design, where we have already chosen the machines most suitable to every industry. All machines supplied to Industry can be issued with a calibration certificate to ISO9001, thus confirming confidence in our process. Calibration Contracts to ISO9001 are an increasing trend & Accurate Weight Ltd have built up a sound customer base over their first 25 years of trading. The majority of our customers being recommended rather than "bought". Experience, quality & value for money have been the building blocks of our success, but without sound foundations they become meaningless. Confidence, Trust and Honesty have played a major part in our success and remain the foundations for the future. 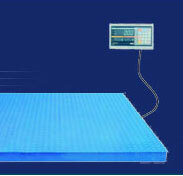 In addition to the supply and hire of quality weighing machines, repair, maintenance and calibration of this equipment is also vitally important. Accurate Weight Co. Ltd. repairs virtually every make of weighing scale and has the technical know-how backed by the leading manufacturers.